As usual, Monaco always creates a big spotlight in the sporting world, not only being on the global map for actual sporting events such as the Rolex Masters, the Formula 1 GP and more, but also in terms of events to celebrate high achievers. SPORTEL Monaco, is the International Convention of Business Sports and Media which is held every year. SPORTEL is the most influential business convention for the global sports media industry. Top level executives representing broadcasters, networks, international sports federations, sports and marketing agencies, production companies, content distributors, right owners, satellite providers, technology and new media providers meet twice a year at SPORTEL. This year it will be held from the 24th to 27th October 2016 at the Grimaldi Forum in Monaco. 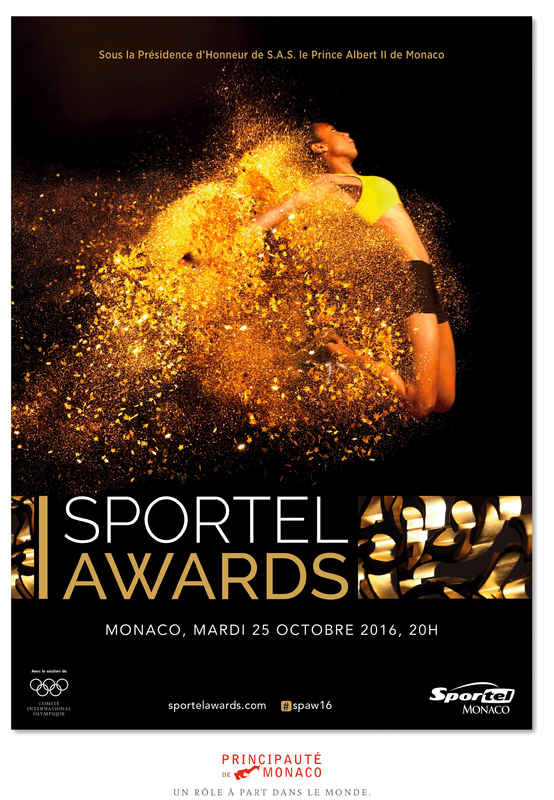 The highlight of this event is the prestigious SPORTEL Awards (Tuesday 25th October), rewarding the best sports video sequences of the year and the most beautiful sports illustrated books, under the honorary Presidency of HSH Prince Albert II Honor of Monaco and patronage of the International Olympic Committee. This year, the athletics legend Donovan Bailey (One of the greatest sprinters of all time, legendary athlete inducted into the Hall of Fame, a triple world record holder, double Olympic champion and triple world champion), will be presiding the Jury of SPORTEL Awards. He is also an internationally known expert in the world of sports and media channels (BBC and CBC). 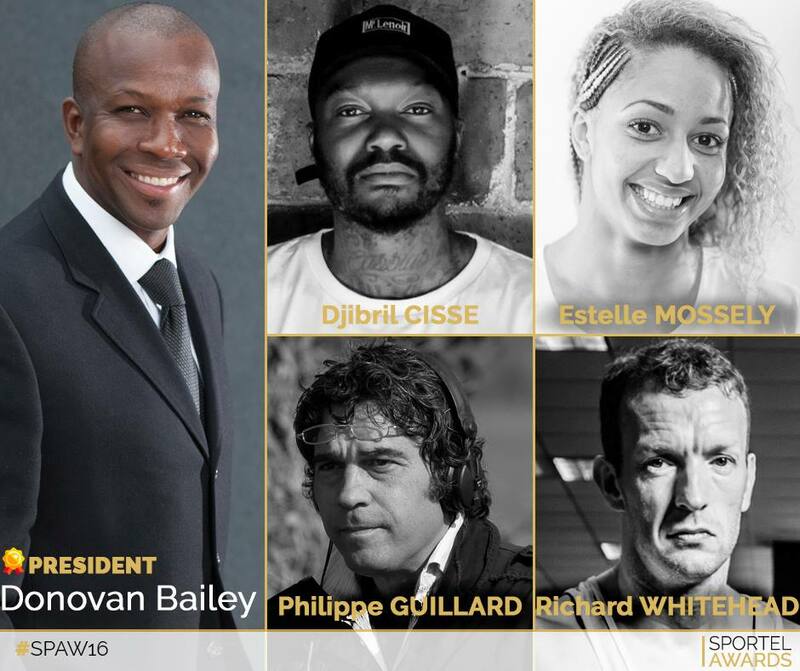 The Jury of the Golden Podiums # SPAW16 will be – Donovan Bailey, Philippe Guillard (a great French club rugby player and also the creator of the fashion brand Eden Park which has a pink bow-tie as its logo), Djibril Cisse (who was an international football player, and who also represented France with 41 caps), Estelle Mossely (a French boxer in the light weight category and who is the first female French boxer to ever claim gold at the Olympics) and Richard Whitehead (a British athlete who is a double amputee. Holds world records in the half and full marathons in his category, also a sledge hockey Paralympics gold medalist). One can clearly notice the prestige of this event in terms of the jury panel as well as the many top sporting figures and industry influencers attending the event.